Mwamba RFC and EXP Kenya have signed a partnership agreement that will see the experiential marketing agency work with the club to grow Mwamba's commercial value. Opened in Kenya in 1996, Exp Kenya is part of Africa's largest and leading experiential marketing agency network - Exp Group, with its headquarters in Johannesburg, South Africa. The deal will see EXP - whose mission is to "Bring Brands to Life Through Events"- handle experiential marketing as well as event and sponsorship management of Kenya’s premier rugby club, the Mwamba Rugby Football Club and its commercial assets, with immediate focus on the upcoming George Mwangi Kabeberi Memorial Sevens Tournament. With this step, EXP further solidifies it’s involvement in the local rugby scene. 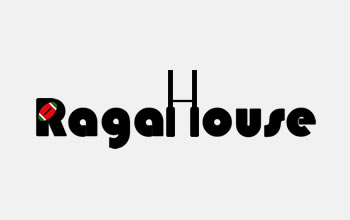 The renowned marketing has previously executed exciting experiential marketing opportunities in Kenyan rugby for their clients through events like the Safaricom 7s National Circuit, Tusker (Tusker Na Rugby) as well as the Kings of Rugby, a fast growing university rugby sevens tournament among others. "We’re entering a new era of commercialization and development of sustainability in sport, so to have EXP come alongside and support us as we continue to build and grow the Mwamba brand is a huge step for our club. 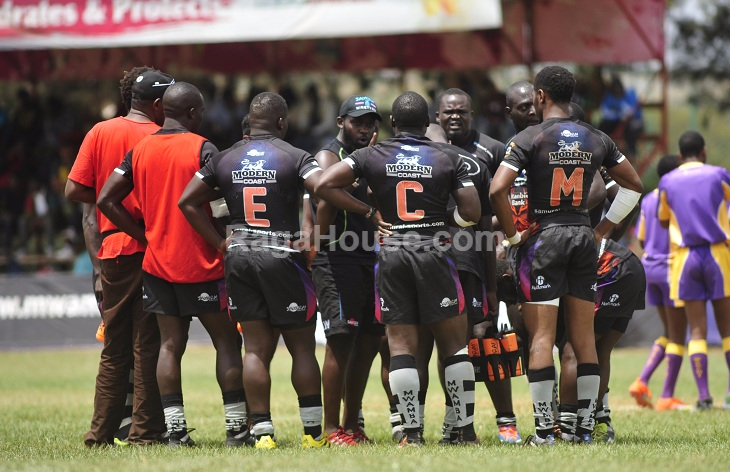 We’ve already seen excellent crowds and absolute professionalism at the various rugby and other sporting events they have managed,” Said Mwamba RFC President Alvas Onguru. EXP Kenya Managing Director, Simon Manambo says: “We’re partnering with Mwamba Rugby at a very exciting time. 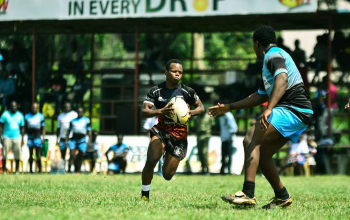 The club has an ambitious on and off pitch development plan and we’re determined to help transform it into Kenya’s best rugby club,"
The tie-down with EXP Kenya is another first for Mwamba. In March of 2017 the club got the backing of leading banker Stanbic with a shirt deal for the rest of that season to the tune of Kshs 3 million. Though unveiled in March of that year the bank had signed up as the club's shirt sponsor in December of 2016. Due to exemplary on-pitch results that season the partnership with Stanbic was renewed at the onset of 2018 for another year. In August of 2016 Mwamba RFC acquired Modern Coast Bus Company as their new transport partners for the next one year. 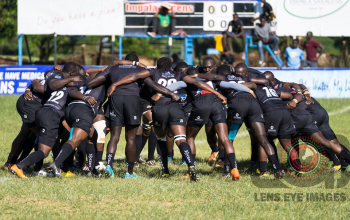 The partnership entailed the lead transporter availing a 62-seater bus to the club to ferry the Men, Women and Age-grade teams to all their matches and activities such as the Sevens circuit, Kenya Cup, Enterprise, Mwamba Cup and any other tournament and matches. It was accompanied with a Kshs 2 million top-up.